Join Us for MidWeek Tomorrow at 6:30 PM! Join us tomorrow as we wrap up our "How to Study the Bible" series with David Platt. If you've missed any of this series thus far, come finish strong with us tomorrow evening! Next Wednesday, we will have a Vision Night as we look ahead at what's to come for the summer and how we can be used to serve and bring about revival in our community. We will end with a time of prayer for VBS! Pastor Todd is asking everyone to be here for both of these special nights! Madness Starts Back This Thursday, May 30th! Calling all middle and high school students! It's that time of year! MADNESS! Join us every Thursday starting this week from 6-8 PM at the French Broad Community Center for games, food, fellowship, and summer fun! See you there! Men's Breakfast, Saturday, June 8th! Calling all men! Make plans to attend the Men's Breakfast Saturday, June 8th at 7:30 AM in the Student Center. Start your day off right with a time of food, fellowship, and prayer! We'll see you there! Breakfast is Served! Uganda Mission Trip Fundraiser on Sunday Morning! 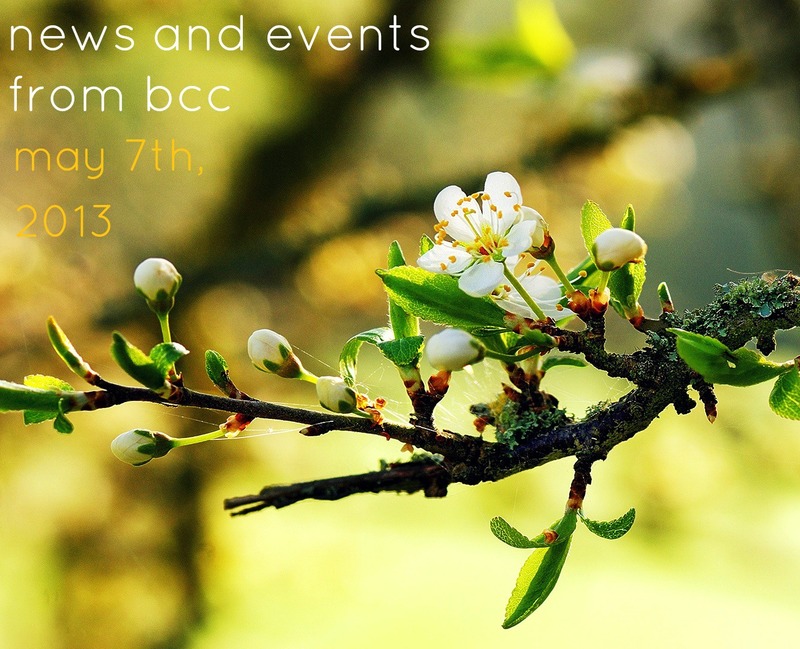 This Sunday, June 2nd, as well as June 16th and the 23rd, skip the drive-thru and come have breakfast at BCC! The Uganda mission team will be selling biscuits, muffins, donuts and more to raise money for their trip! Come hungry, bring some cash, and support missions at BCC! Legacy of Literacy Dinner Next Saturday, June 8th! Join us next Saturday from 6-9 PM at the Silvermont Historical Mansion for a benefit dinner for the Augustine Literacy Project. Help this organization serve children in our community by tutoring children and improving literacy and reading skills. Buy your ticket in the back of the Worship Center or call (828)577-8694. VBS is just around the corner and we appreciate all you who have been donating supplies! More are still needed though, and you can find those taped to the column in the Welcome Center. In addition to that, listed below are some things we'd like to borrow, and some everyday items that we need your help collecting. Bring them by the Welcome Center any day the office is open! If you are letting us borrow tarps, tents, lights, etc., make sure you label them with your name and number so we can get them back to you! Contact Chris for more information at chris@brevardcommunity.org. Short Term Mission Opportunity to Mazatlan, Mexico This Summer! BCC has been partnering with a church in Mazatlan, Mexico for the past several years. The church is now in the process of planting their 2nd Group. We have helped them in the past years with medical clinics, VBS and some construction projects. Late this summer we have an opportunity to go and join them again in reaching a village with the Good News of our Lord. We will do this by training the body with a combination of Conversational EV, T4T, and 2 by 2 teaching. If the Spirit leads you to join us, the dates of the trip are Aug 8th-15th and the cost is $700 plus airfare (which is $560 from Asheville today). For more info contact Alan Perry at alan@brevardcommunity.org or Shannon Compton at shannon@brevardcommunity.org. Tragedy is all around us. Just last year we suffered two of the deadliest mass shootings in our history not to mention many other tragedies that are now forgotten for most of us as life has speedily moved along. But even if we only look at the last few months it is overwhelming. We have experienced terrorist bombings in Boston, deadly explosions in Texas, and horrific tornados in the Midwest. Every day brings a new headline of sorrow, it seems. And behind each headline are real people. People who are hurting over the loss of loved ones, loss of homes, and even the loss of meaning and hope. Could you imagine how your world would be turned upside down by one of these tragedies? One minute you are simply going about your day enjoying time with family or working hard at your job and the next minute your loved one is gone or everything you worked for is completely destroyed? What questions would you have? What would you do? Where would you turn for help? Who would be there to comfort you? What hope would you hold on to? As Christ followers we have real comfort and hope to offer those who are suffering through these tragedies. In 1st Thessalonians 4:13-18 Paul, speaking about grief, gives us the reason we have the hope our hurting world so desperately needs. That reason is the reality of Christ’s resurrection. Paul reminds the Thessalonians that we do not grieve like those who have no hope. Why? Because our hope is in the fact that Jesus died and rose again. That is a fact and because of that fact there is real hope that death is not the end of life. In fact we are assured that anyone who died in Christ will be raised on the day He returns to live eternally with Him in His Kingdom. And it is a Kingdom that has no end and is a place where tragedy will never touch them again. As Christians, we have the hope the world needs. We grieve too but not like those who have no hope. When tragedy strikes we have an unshakeable foundation that though we may suffer for a time, our suffering will end one glorious day and break into joy that will remain forever. The Gospel is not only the Good News that our sins are forgiven but also that we will spend eternity with our Savior and God because they are. So in times of tragedy, let's comfort one another with this truth and share our hope with those who don’t know our Savior so they too can have an unshakeable foundation to rest on. 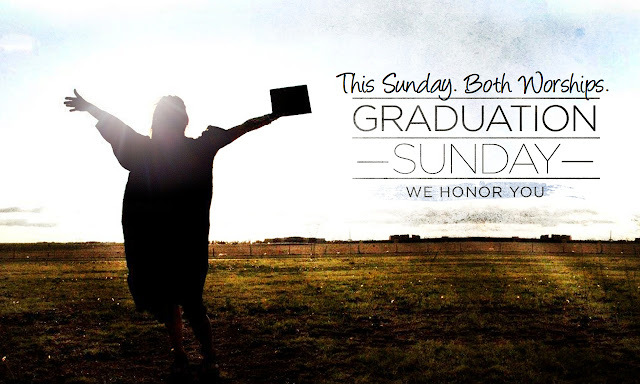 Be sure to join us this Sunday as we honor our graduating Seniors! Join us tomorrow as we continue with our "How to Study the Bible" series with David Platt. This is an incredible video seminar from Platt's Secret Church series that teaches us how to go past reading scripture, to learn how to actually study and understand it in it's historical and literary context. Pastor Todd will be following up the video segment and breaking principles down further. Don't miss it! Calling all fathers and sons (ages 8-13)! We are having a Father & Son retreat on Friday, August 23rd - Sunday, the 25th at Look Up Lodge near Traveler's Rest, SC. This is going to be an incredible time of fun and adventure, but more importantly, an experience to coach and encourage dads to be the spiritual leaders of their sons. This is more than just a weekend away - there will be studies before-hand with the fathers to prepare them for father/son interactions to happen well beyond the retreat. Cost is $119 per person. Sign up in the Welcome Center ($25 deposit due August 4th). 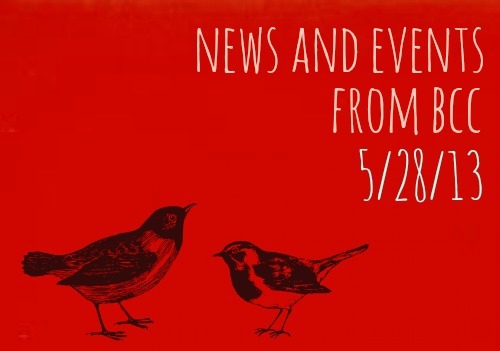 If you have any questions, contact Chris at chris@brevardcommunity.org. Madness returns NEXT THURSDAY, MAY 30th! All middle and high school students are invited. See you from 6-8 at the French Broad Community Center . Please note that in observance of Memorial Day the office will be closed Next Monday, May 28th. Graduation Sunday Photos Due Tomorrow, May 15th! Graduation Sunday will be here before you know it! Parents of high school grads: please submit 6 or 7 large photos of your high school graduate growing up for our presentation! Please drop off your pictures to the office or email them to Siobhan at siobhan@brevardcommunity.org by tomorrow! Mom to Mom This Thursday, April 16th! Both Hands Project This Saturday, May 18th! Both Hands is an organization that aims to help people raise funds for orphans while serving widows through home improvement projects. Join us this Saturday to serve a local widow with some service needs and raise money for Alan and Elizabeth Pack's adoption! You can come and be a part of the work crew on Saturday or you can sponsor a worker! We need your help with interior painting, repairing flooring, ceiling repair, wood splitting, debris clean-up, and yard work. Lunch will be provided! The work will go from 8am - 5 pm, but if you can't stay all day that's ok; just serve as long as you can. Meet at the church at 8 AM to be shuttled to the work site! Let's rally around this family to help fundraise as well as caring for those in need! Tee Off for Missions: Dominican Republic Golf Tournament This Sunday, May 19th! It's not too late to get involved with the Golf Tournament this Sunday! We need a few extra golfers to get involved! Sign up for the Golf tournament on May 19th at 2 PM to help send our high school mission team to the Dominican Republic this summer! Cost is $75 to play! Sign up in the Welcome Center or contact Brent at brent@brevardcommunity.org if you have any questions! Pray for the West Virginia Mission Team! Please pray for a team headed to New Creek, West Virginia from May 19th-24th to support a local pastor with construction and repair work. What a great picture of the Church and the community of Christ followers! Pray for smooth travels and safety as they work and for God to be glorified through their service! BCC has been partnering with a church in Mazatlan, Mexico for the past several years. The church is now in the process of planting their 2nd Group. We have helped them in the past years with medical clinics, VBS and some construction projects. Late this summer we have an opportunity to go and join them again in reaching a village with the Good News of our Lord. We will do this by training the body with a combination of Conversational EV, T4T, and 2 by 2 teaching. If the Spirit leads you to join us, the dates of the trip are Aug 8th-15th and the cost is $700 plus airfare (which is $560 from Asheville today). For more info contact Alan Perry at alan@brevardcommunity.org or Shannon Compton @ shannon@brevardcommunity.org. Calling all fathers and sons (ages 8-13)! We are having a Father & Son retreat on Friday, August 23rd - Sunday, the 25th at Look Up Lodge near Traveler's Rest, SC. This is going to be an incredible time of fun and adventure, but more importantly, an experience to coach and encourage dads to be the spiritual leaders of their sons. This is more than just a weekend away - there will be studies before-hand with the fathers to prepare them for father/son interactions to happen well beyond the retreat. Cost is $119 per person, but in order to secure the event location, we need a deposit of $119 per father/son pair by THIS FRIDAY, MAY 17th. Sign up in the Welcome Center! 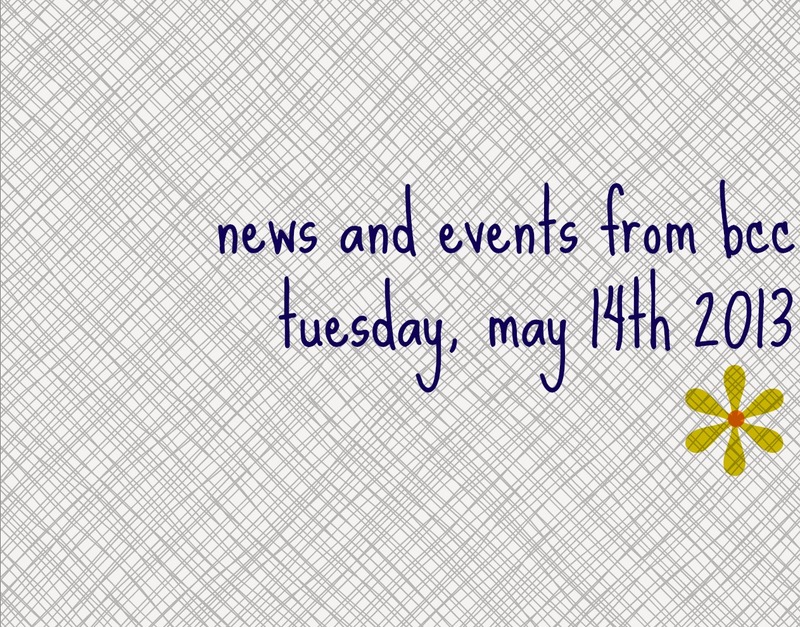 If you have any questions, contact Chris at chris@brevardcommunity.org. Join us tomorrow for the third session of our new MidWeek series, "How to Study the Bible" with David Platt. This is an incredible video seminar from Platt's Secret Church series that teaches us how to go past reading scripture, to learn how to actually study and understand it in it's historical and literary context. Pastor Todd will be following up the video segment and breaking down principles further. You don't want to miss it! We'll see you at 6:30 PM! Join Us for Mother's Day this Sunday! Don't forget! This Sunday is Mother's Day! Join us as we honor and remember our mothers and all they have done for us! Join us at 9:30 or 11 AM! New Sunday Morning Bible Study Starting This Sunday, May 12th! Graduation Sunday Photos Due Next Wednesday, May 15th! Graduation Sunday will be here before you know it! Parents of high school grads: please submit 6 or 7 large photos of your high school graduate growing up for our presentation! Please drop off your pictures to the office or email them to Siobhan at siobhan@brevardcommunity.org no later than next Wednesday, May 15th! 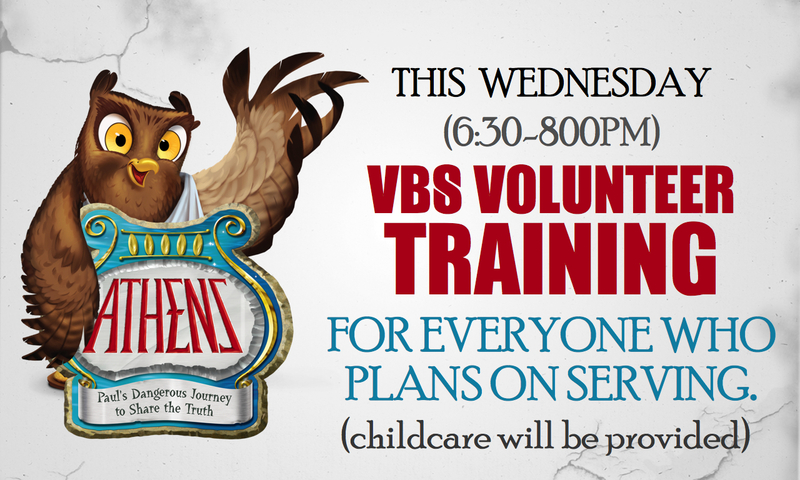 Serve at VBS This Summer!